Let’s Talk about Research | Gourmet B.C. And, well, I’m kind of upset. Kind of. Why am I upset, you ask? Despite the emphasis on very healthy foods, the Paleo diet has a few drawbacks or potential areas for misinterpretation. For one, the diet is heavily reliant on meat, and meat today isn’t as lean as it was thousands of years ago. Domesticated animals are sometimes stuffed with food and given little room to move resulting in fatty cuts of meat. In addition, adopting a diet from ancient times, when the average lifespan was in the 20s, seems less than appealing when one considers the average lifespan of today, which is in large part due to the eradication of nutrient-deficiency thanks to fortified foods and dietary supplements. The Paleo diet falls short on some of these micronutrients, namely calcium and vitamin D.
Hold up. Before I go on, let me say: this person is definitely right about some things. The paleo diet is quite dependent upon meat. However, the paleo diet stresses that you should eat grass-fed, lean meat. In fact, the first thing you should be eating is (dirt cheap) organ meat from (from grass-fed sources). But, there is also a heavy emphasis on eating fish. The Paleo Mom created a list of the best meats to eat, which is very helpful when grocery shopping. It’s not like we eat prime rib every night and call it a day. I mean come on. Let’s talk about the second point: eating a diet that fed people who only lived into their 20s. This is a very unfair comparison. We live in a time that emphasizes modern medicine. People used to die from things such as measles, which can now be prevented. You can’t compare modern, scientific times to the paleolithic age. Sure, you could if you never got vaccinated, never used the hospital, and never saw a Western doctor EVER; but, these things are very, very unlikely. The Tylenol that you take when you get the flu to lower your fever never existed thousands of years ago. Humans have taken technology and used it to expand the lifespan of the average person. Even 50 years ago, people were not living as long as they are today. Case in point: this isn’t a good argument, and actually, it’s completely invalid. Now, onto the point that made me more than a little upset: the paleo diet lacks intake of “micronutrients,” specifically vitamin D and calcium. Well, I have to make a correction. Vitamin D is actually not a micronutrient. It’s a vitamin. Anyway, this claim is so untrue it’s not even funny. First, let’s address how vitamin D is made in the body. 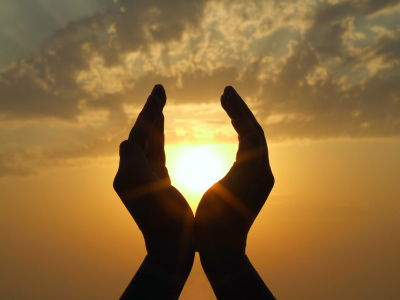 You’ve probably heard that vitamin D is made from exposure to sunlight. Sunlight hits the skin, causes a chemical reaction, and voila! You have vitamin D in your body. Of course, the process is much more complicated than that; but, that’s the main gist. Sunlight. It does a body good. Image courtesy Network Vitality Center. My first suggestion would be to look at how much time you actually spend outside without sunscreen. Of course, this also depends on your skin tone. If you have a lighter skin tone, you probably only need 15-20 minutes of sun exposure a day; darker tones may need a bit more. The second thing to look at is your overall diet. Are you including fish? 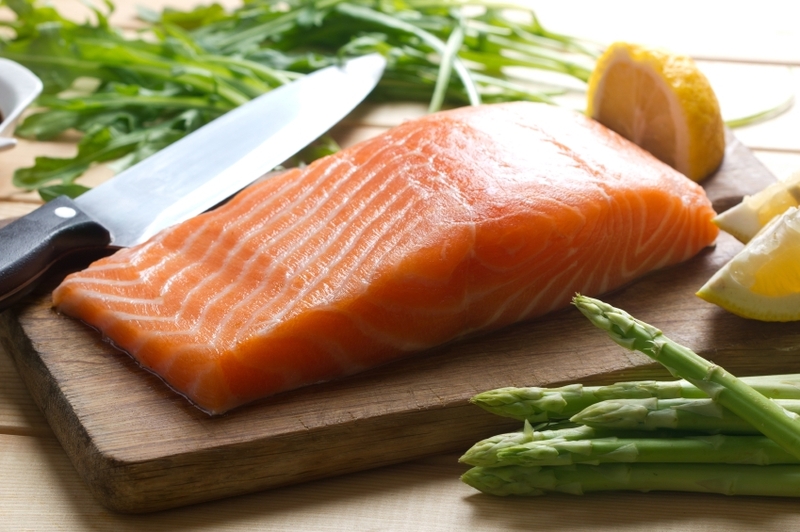 Fish is the main source of vitamin D in the paleo diet. Of course, if you don’t eat fish, you could supplement for it; but, as stated above, fish is important to add to the diet because it’s an important meat source. I’ve never supplemented for vitamin D, and I’ve never been deficient. I started with vitamin D first because it’s important for the micronutrient calcium. While our bodies can make vitamin D, we can’t make calcium. Calcium has to be absorbed through foods. Vitamin D is the vitamin that allows the body to absorb calcium. So, if you’re vitamin D deficient, you are likely calcium deficient, too. It’s highly recommended that paleos eat sardines because they contain a lot of calcium, but there are a lot of paleos who eat dairy (beep beep, paleo police! ), which is a HUGE source of calcium. Yes, it’s true: many, many paleos eat dairy because they tolerate it. That dairy is, of course, grass-fed dairy. The lesson here: do your research before you post. Provide links with your evidence. Know what you’re talking about. Research is important and imperative. Yet the evidence that calcium supplementation strengthens the bones and teeth was never strong to begin with, and has grown weaker with new research published in the past few years. A 2012 analysis of NHANES data found that consuming a high intake of calcium beyond the recommended dietary allowance, typically from supplementation, provided no benefit for hip or lumbar vertebral bone mineral density in older adults. Here’s my thoughts, ladies and gents: do outside research on everything that goes into your body. If it’s published by the government, skip it. If it seems to have an undertone of selling you something, skip it. These people have their own agenda. They have their own companies to think and worry about. They don’t care about you as people; they care about money. Look for independent research. Look for research done by someone who’s not getting paid to sell you something. Research, research, research until you die. This entry was posted in Information, Rant and tagged calcium, cavemen, fish, information, informative, meat, micronutrient, organ meat, paleo, research, salmon, science, sunlight, vitamin d by Brittany W. Bookmark the permalink.